For context, see our announcement ‘Reduced regulation of English social housing providers - Registration requirements’ on GOV.UK. This is an explanation of what is required when lodging an application for registration with HM Land Registry on or after 6 April where one of the following restrictions appear in the register. As the requirements for disposal consents contained in section 172 of the Housing and Regeneration Act 2008 will be revoked on 6 April, this restriction will not apply to disposals made on or after that date and can be disregarded. If a disposal is made before 6 April, you will need to enclose evidence of compliance with your application. Under regulation 6 of the Transitional Provisions (TP) Regulations, any disposal made before 6 April 2017 that would have needed consent under section 172 is deemed to have the consent of the Regulator of Social Housing, but this deeming provision only takes effect from 6 April. Restriction: No disposition of the registered estate by the proprietor of the registered estate is to be registered without a certificate signed on behalf of the proprietor by its secretary (or by two trustees, if a charitable trust) or its solicitor or licensed conveyancer that the provisions of section 9 of the Housing Act 1996 have been complied with. The requirements for the section 172 restriction apply in the same way to this restriction. HM Land Registry will be seeking to remove all section 172 restrictions from registers where they appear after 6 April. This can be done under powers in Paragraph 5 of Schedule 4 to the Land Registration Act 2002 as the restrictions will be superfluous. We will also remove the section 9 restrictions (both in the current or previous formats) where it is clear that the restriction relates to a private registered provider and the property is in England. The repeal of the consent regime made by Schedule 4 to the 2016 Act also means that there will be consequential changes to our standard forms of restriction W, X, Y and KK, so that they will no longer apply to private registered providers in England (item (a) in standard form restrictions W and X is being repealed). They will continue to apply to English local authorities and to registered social landlords in Wales. These changes are to be made by amendments to the wording of these four restrictions by the Consequential Provisions (CP) Regulations. The amended versions that will be effective from 6 April are set out below. HM Land Registry will be updating these four standard form restrictions in registers after 6 April so they read as amended by the CP Regulations. You will still need to enclose evidence of compliance for any disposal made before 6 April but the restrictions can be disregarded for disposals by an English private registered provider made on or after 6 April. where consent to that disposition is required by section 171D (2) of the Housing Act 1985 as it applies by virtue of the Housing (Preservation of Right to Buy) Regulations 1993.
where consent to that disposition is required by [section 81 of that Act] or [section 133 of that Act] or [section 173 of the Local Government and Housing Act 1989]. Restriction: No transfer or lease by the proprietor of the registered estate or by the proprietor of a registered charge is to be registered unless a certificate by [specify relevant registered social landlord] is given that the transfer or lease is made in accordance with section 13 of the Housing Act 1996. This restriction is also amended by the CP Regulations (and by the repeal under paragraph 17, Part 1, Schedule 4, Housing and Planning Act 2016) so that it will no longer apply to private registered providers in England after 6 April, and again the deemed consent in regulation 6 of the TP Regulations will not apply. So, where this restriction appears and the transfer or lease is made before 6 April by a private registered provider, you will still need to enclose a certificate by the relevant social landlord that the transfer or lease is made in accordance with section 13 of the Housing Act 1996. 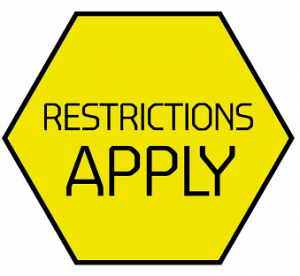 Restriction: No deed varying the terms of the registered lease of property in Wales is to be registered without the consent of the Welsh Ministers. This restriction will only appear in a small number of registers for English titles as most were removed some years ago. The CP Regulations amend this restriction so it will only apply in relation to leases by social landlords in Wales. Where the restriction appears in a register for a property in England it can be disregarded. What is my land is not registered and I don’t want to sell it? Can I be forced to part with it in law? We don't hold information on unregistered land and cannot advise you as you as to the legal position. You may want to consider getting some independent advice, for example, from Citizen's Advice or from a conveyancer, such as a solicitor. I also have the same situation whereby the conveyance has granted the rights pursuant to Paragraphs 2 and 3 of Part 1 of Schedule 6 to the Housing Act 1985. The HMLR has also made corresponding entry against our title stating "the easements and rights specified in paragraph 2 of Schedule 6 of the said Act". The initial vendor (local council - the legal department) has also confirmed us in writing saying that the conveyance has granted the necessary rights and it has met the requirements of Housing Act 1985. I have used 3 solicitors to fight for my rights granted by the conveyance and they are pretty much useless. My next door's solicitor mentioned on his letter specifying that this piece of legislation is vague and land law is complex and therefore, we cannot even access our own property over the passageway. He's bullying and taking advantage of the situation. If the rights granted in the conveyances by the initial vendor pursuant to Paragraphs 2 and 3 of Part 1 of Schedule 6 to the Housing Act 1985 are not appurtenant to the title and are not recognised by the solicitors and lawyers, it is nothing other than deeply misleading and confusing to the innocent general public. The conveyancer confirmed us that we can access the neighbouring land under this act, given part of the property (room, brickwork, guttering) is above the passageway. But the dilemma I am facing now is that my next door neighbour and their solicitor are saying that I do not have legal rights. Sadly, the Land Registry has also not indicated a right of way over a piece of neighbouring land on the title plan nor noted of its existence on the title register under this ACT. This has also given an opportunity for solicitors to take advantage of this situation. During the purchasing process, if the conveyancer made me aware of this situation, I would not make the mistake by purchasing ex council house and would not suffer financially, mentally and socially. The predecessors of both properties have also signed the Statutory Declaration stating that the rights were actively used on a regular basis prior to the date of conveyance, at the time of conveyance and continued to do so thereafter as the rights were standard to both properties. Please, please let me know if you have come across this sort of situation and how you managed to get your rights that's already granted by the conveyance and HMLR has also made the corresponding entry by referencing the piece of legislation. Please can you suggest whether or not that the HM Land Registry can play a crucial role to re-register the rights on the basis of the conveyance, title, statutory declaration provided by predecessors (both properties) and fundamentally, the confirmation of those rights by the initial vendor pursuant to paragraphs 2 and 3 of Part 1 of Schedule 6 to the Housing Act 1985 against our title?